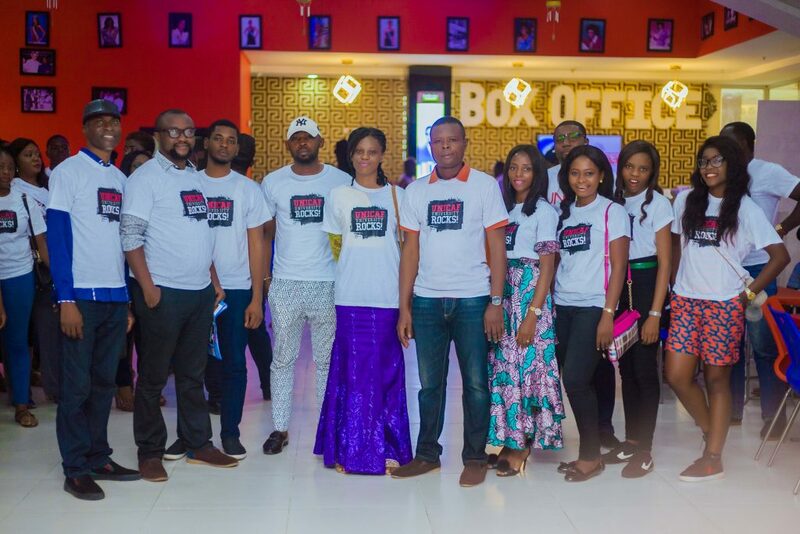 On Saturday, April 21st a film screening was organised for our students in Nigeria at the popular Silverbird Cinema complex, in the Ikeja City Mall. 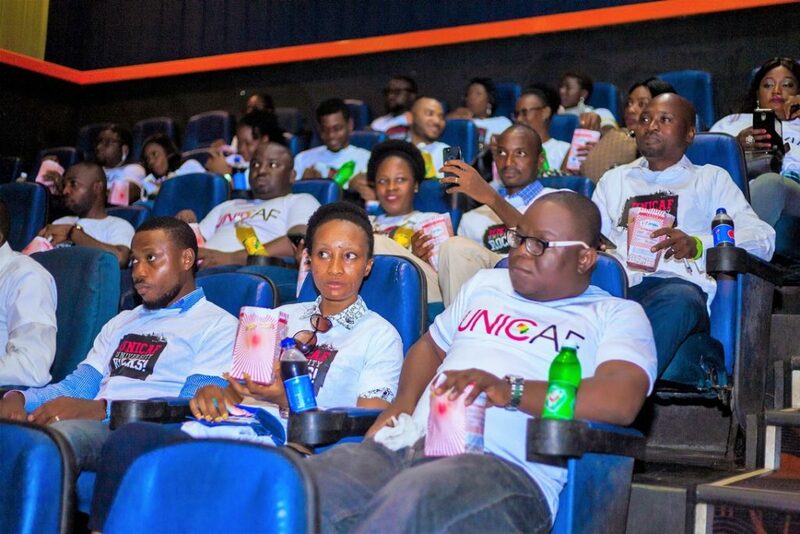 UNICAF students pursuing degree programmes with different partner universities were greeted by UNICAF staff outside the cinema and received their gifts: branded t-shirts, pop-corn buckets and refreshments, all courtesy of UNICAF. Before the screening of the feature film, ‘Rampage’, a short video was presented to our student audience about the forthcoming UNICAF Dubai Conference on August 3rd, which promises to be a truly exciting event. The students present expressed a vivid interest in the UNICAF Dubai Conference 2018 and had a lot of questions to ask UNICAF staff after the screening. The cinema outing was a great event, and a nice way to relax and to release stress after a week of work and study. 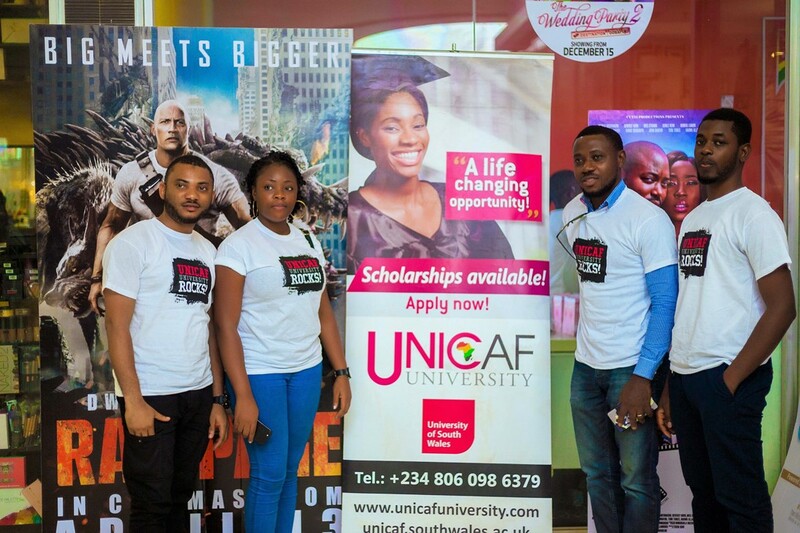 UNICAF student Ajayi Olwafemi, stated that he needed the relaxation and he was excited to meet fellow students and to exchange views and ideas about their studies. Njoku Kelechi Cynthia, a University of South Wales MBA student expressed her satisfaction with online studies through UNICAF and wished us even greater success in the future.